According to the Journal, Apple also outbid rivals for a costly (up to or over $12 million an episode) drama about a morning news program starring Jennifer Aniston and Reese Witherspoon. The show is now delayed after issues with an executive producer, but also because Apple “wanted a more upbeat show and took exception to some of the humor proposed, according to people working on the project.” Finally, Apple also found new showrunners for Steven Spielberg’s Amazing Stories after concluding it was too “dark,” the paper wrote. One can’t account for taste! But show business isn’t really like the App Store or an iPhone commercial, where Apple’s prudish attitude at least makes more sense on business grounds. One key lesson of Netflix’s success was that the streaming format allowed it to air the kind of content previously relegated to premium cable channels like HBO. 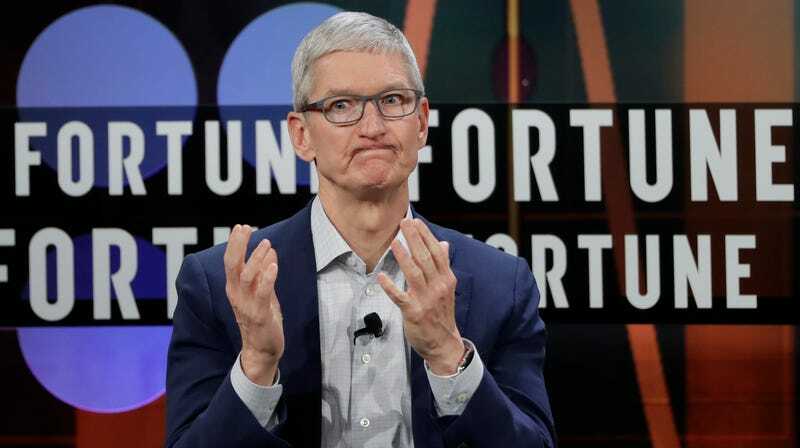 Narrow sensibilities—specifically Cook’s sensibilities, apparently—could mean the difference between Apple becoming a threat to its streaming rivals or a flop. In the latter scenario, bundling the new service with other stuff like news subscriptions, as Apple has been widely reported to be planning, isn’t going to turn the tables. On the plus side, there’s no mention that Apple execs are interfering with its planned adaptation of Isaac Asimov’s classic Foundation trilogy, which is long overdue for the Hollywood treatment.